Thanks for your interest in my newsletter! 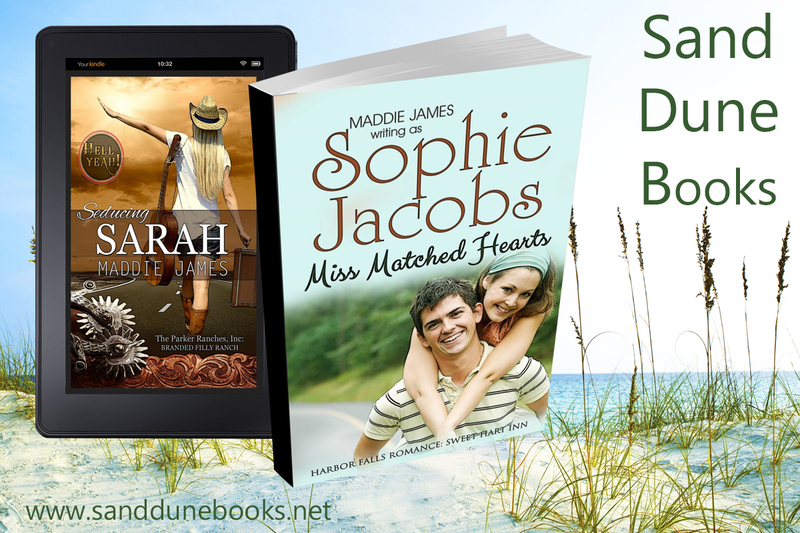 This is the official email list for Maddie James and pen name Sophie Jacobs. What to expect? You'll receive one email a month from me--unless there's a big hairy special thing happening, and I'm sure you'll want to know about that. If that happens, you could receive 1 or 2 more (but only if there is a big hairy thing happening!). If I have a new release, you will definitely receive a "New Release Alert" email plus the regularly scheduled monthly email. Mind answering a few questions? Your responses will help me target the right emails to you. Once you have clicked through your selections and are officially signed up, you will receive additional instructions for downloading your free ebook! Again, thanks for being part of my exclusive newsletter group. Welcome! You can change your mind at any time by clicking the unsubscribe link in the footer of any email you receive from us, or by contacting us at maddie@maddiejames.net. We will treat your information with respect. For more information about our privacy practices please visit our website. By clicking below, you agree that we may process your information in accordance with these terms.